Ryan Phillippe In Talks With Marvel / Netflix - Will He Play Iron Fist? Home » Film » Ryan Phillippe In Talks With Marvel / Netflix – Will He Play Iron Fist? Ryan Phillippe In Talks With Marvel / Netflix – Will He Play Iron Fist? This morning on the Howard Stern show, actor Ryan Phillippe told Howard that he was in talks with Marvel for something on Netflix. The 40-year old actor is currently starring in ABC’s Secrets And Lies… and ABC is owned by Disney. 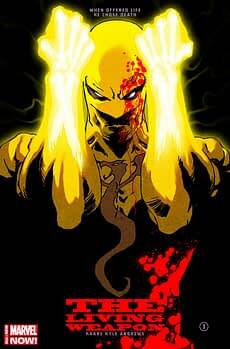 The major role that hasn’t been cast yet in the Netflix / Marvel deal is of course Daniel Rand / Iron Fist, Phillippe would definitely be a name to lead the fourth of the planned series. There has also been a rumor floating around about The Punisher joining the Netflix family of originals… he would make an interesting Frank Castle. Or maybe he is inline to be a villain… maybe even Bullseye for the second season of Daredevil. Usually when an actor starts admitting he’s in talks for something, the talks are pretty far along. Hopefully we’ll hear more soon.